Food. Wine. Music. Sun. Culture. … and in one of my favorite destinations on Planet Earth. Mark your calendars: March 22, 2014. That’s when the annual Loreto Food and Wine Festival takes place – Loreto Bay resort (formerly the Inn at Loreto Bay) hosts. Now in its third year, the LFW fundraiser has quickly built a reputation for being a wonderful celebration that brings locals, businesses, volunteers and expats alike together to enjoy each other’s company in the remarkable (stunning!) surroundings of Loreto (a small fishing village located in Baja Sur in Mexico). Best of all the Loreto Food and Wine Festival benefits two charities: the Amigos de Loreto and A.C. organizations. Scheduled events include a silent auction, food provided by the Loreto Restaurant Association, Music by Los Beach Dogs and Aguas Negra (Black Water), and an hourly live auction. So far as I can tell tickets are only available locally at restaurants (Orlandos, 1697, Domingo’s, Los Mandiles) or in the Loreto Bay resort (via property managers, Bahia Management, Nopolo Wine Cellar, El Cardon, El Corazon Cafe). If you live or visit Loreto and the Loreto Bay Resort (which is located twenty minutes south of town) chances are you already know about LFW. If you’ve never been to Loreto, and are looking for an adventurous getaway (think: hiking, diving, sailboarding, fishing) not to mention one steeped in culture (the original California mission was establied in Loreto in 1697) you might want to time your visit to coincide with this event. Stark Insider was there in 2012 to cover the inaugural edition, and it was a hoot and a half. 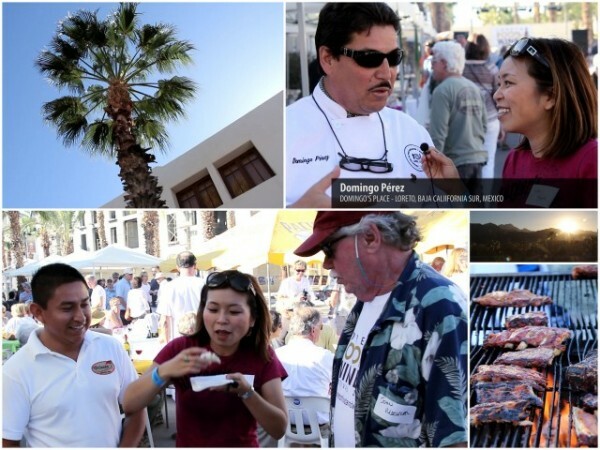 But don’t take my word for it, watch the video below for a look at what to expect at the Loreto Food and Wine Festival.